Renovo Energy, LLC was created to develop and implement innovative solar solutions for commercial, industrial and utility scale projects. With an unprecedented level of expertise, their team offers comprehensive services from engineering, roofing experience and solar installation to proprietary assembly and monitoring to achieve maximum value from their custom commercial solar PV systems. 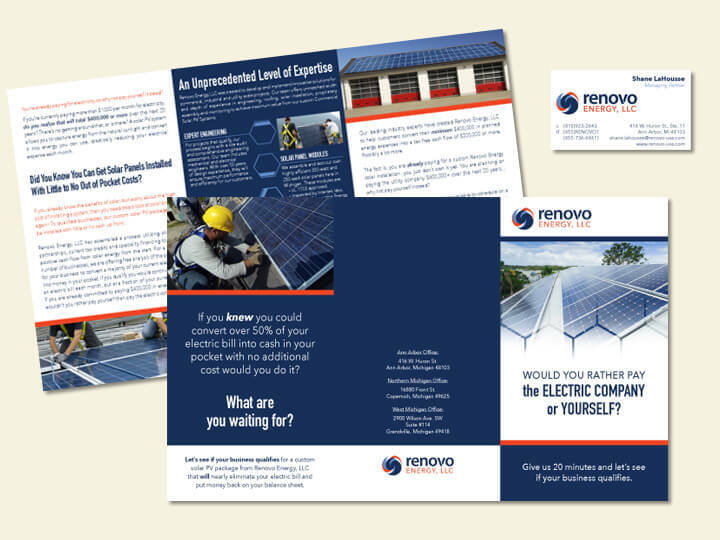 Lynx Imaging helped Renovo Energy, LLC create their brand and overall messaging. Projects completed include brand development, logo design and a promotional brochure.